Holistic Treatment Can Heal the Root Causes of Illness, Allergy, and Injury. Because an holistic approach to health care goes beyond simply treating symptoms, but rather, seeks to find the origins of ailments, true healing occurs on a deep and permanent level. 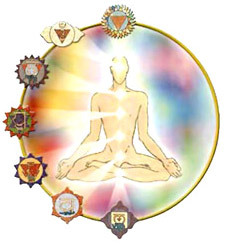 By providing the most advanced holistic therapies currently available we are able to bring you to a place of infinite peace, clarity and health. Each of our holistic therapies are specific and vary greatly from patient to patient. No two patients are ever given the same therapy or put on the same protocol because no two patients are the same. The reason for this is because each person has a different metabolism and different health needs. At Triad Of Health we believe that it is important to consider the whole person from a physical, nutritional and emotional perspective. It is in reference to this core belief system that we call ourselves “holistic” doctors. Most people come to our office because of a variety of health imbalances. In order to discover hidden metabolic dysfunctions and monitor patient improvement we may order blood and hormone lab work as well as perform the following in house labs: blood sugar, hemoglobin A1C, blood lipid panel, live blood cell analysis, BIA (Bio Impedence Analysis), and a BCA (Bio Cellular Analysis) of the blood, urine and saliva. If necessary we will refer out for X-rays. 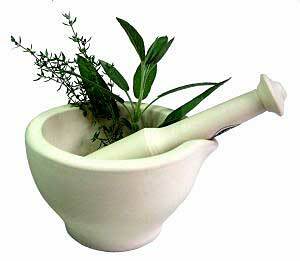 Herbs have been used for more than 5000 years to treat illness, allergies, and injuries. This ancient tradition works in unison with the body’s innate healing abilities without the serious side effects of pharmaceutical drugs. Homeopathy has evolved over the last 100 years and is sometimes referred to as “energy medicine”. Homeopathy is the safest medicinal therapy known. There are no known side effects. Holistic health care does not just consider what foods a person is eating, but what foods they are eating, digesting and absorbing as well as their process of elimination. It is important to ascertain what nutrients are being utilized at the cellular level. Based on specific diagnostic techniques, nutritional recommendations can be made to support your glands, organs, emotional well being, sleep, etc. Because everybody has different health concerns, everyone has different dietary needs and considerations, and we prescribe individual programs. Professional Applied Kinesiology is the most advanced diagnostic and treatment system of healthcare which includes licensed health professionals from all fields including medical doctors, acupuncturists, naturopaths, homeopaths, chiropractors, etc. It is an open ended field of study. Combining Professional Applied Kinesiology with chiropractic works miracles. Acupressure, a part of Professional Applied Kinesiology, balances the subtle energies of the body. Acupressure is a well established treatment which is 10,000 years old.